Choosing Batanes for my birthday trip was the perfect setting for me to spend it. It’s a wonderful destination home to many rolling hills, rugged coastline and scenic landscape. It is also one of the places in the country where you can meet the nicest people. I’ve wanted to visit this place ever since but never really got the chance, most especially that flights going to Batanes are really expensive. But after years of waiting, I finally got the opportunity. Cebu Pacific, a leading low-cost airline in the Philippines, launched few months ago a direct flight to Batanes from Manila. 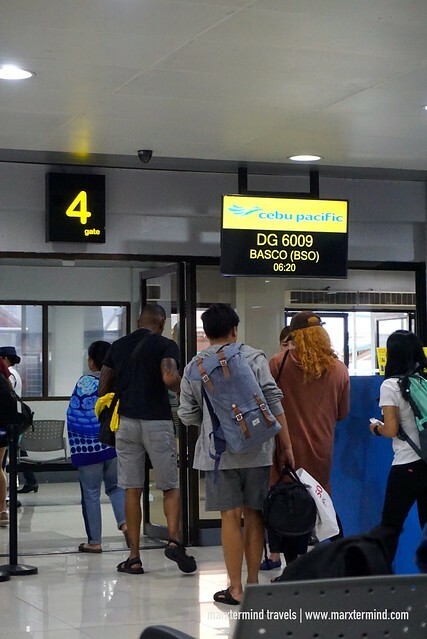 Known for offering low fares, Cebu Pacific is the answer for budget travelers like me who are always on the hunt for affordable flight tickets. 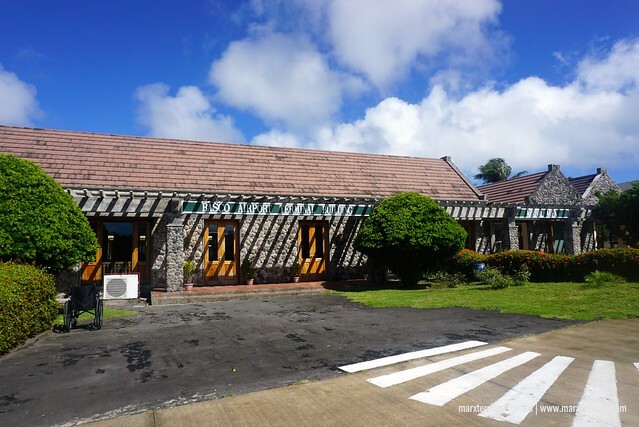 Since the airline started servicing the Batanes route, I knew I was already nearing to that time that I could be able to fly to this most admired destination in the country. And it happened. 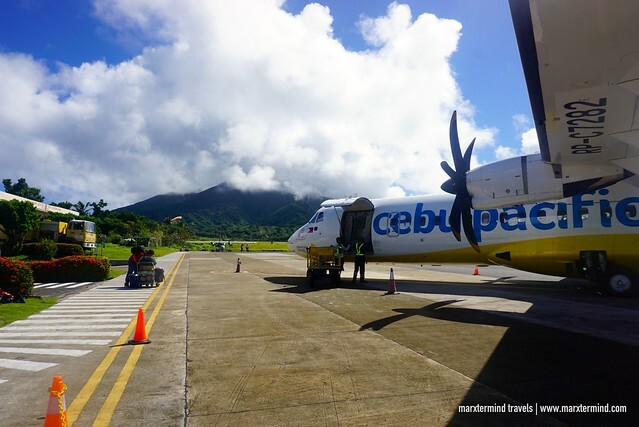 Making first moments happen, I was finally able to fly to Batanes with Cebu Pacific. One of the newest routes of the airline that started in March, flying for the first time to Batanes with Cebu Pacific made me truly excited. Aside from it was my birthday trip, the idea of flying to Batanes with Cebu Pacific is already a memorable experience alone. I’m a frequent flyer of this airline and it never disappoints me so far. 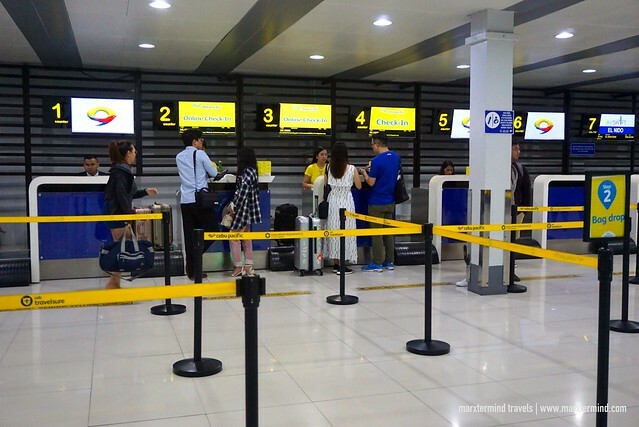 Even if it is a budget airline, Cebu Pacific goes beyond in providing the best service and comfort to its passengers. My flight from Manila to Batanes was early morning at 6:20 AM. Before going to the airport, I already checked in online and printed my boarding pass at home. If you don’t have printer, use the Cebu Pacific mobile app to check in and save the boarding pass on the phone. During boarding, you can just simply show the boarding pass from the mobile phone. 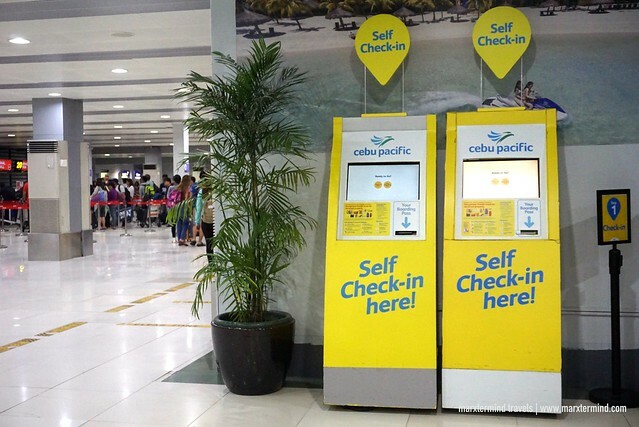 Self check-in kiosks in are also available at the airport. I find this online check in service more convenient most especially if you don’t have baggage to check anymore. I arrived at the airport an hour before the flight. Since I had my boarding pass already and I didn’t have a luggage to drop at the check in counter, I went straight to the boarding gate. NAIA Terminal 4 is just a small terminal. This is what I like about this terminal because honestly, I don’t have to walk far to get to the boarding gate compared to other NAIA terminals. I know this shouldn’t be what travelers doing but even if I arrive at the airport half an hour before the flight, I can easily reach the boarding gate still on time for boarding. Due to some intermittent weather condition in Batanes, our flight was delayed. I already predicted this because it is Batanes. Weather can be bad especially, I was travelling during rainy season. The flight delay was also understandable for me because I know Cebu Pacific only wants the safety for everyone. The airline asked us to wait while I prayed that our flight won’t be cancelled. After half an hour, Cebu Pacific finally announced boarding for our flight. 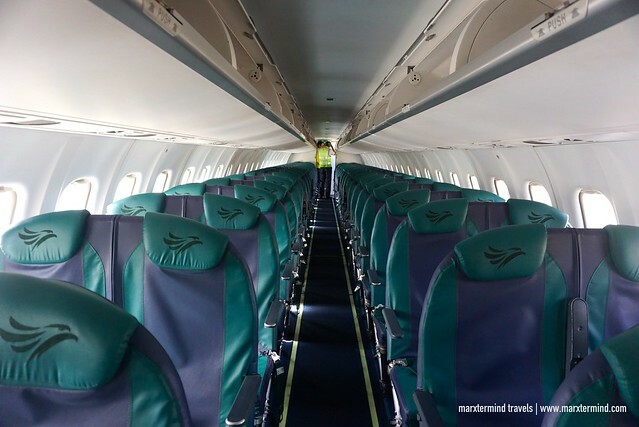 The flight from Manila to Batanes with Cebu Pacific utilizes ATR aircraft with 78 seater. The layout of the seat is 2 x 2. I was assigned in a front row seat but weird because it was facing all the passengers. Nevertheless, the seat was spacious and has more leg room. Our flight departed past 7:00 AM. The entire flight is 2 hours and 10 minutes. When the plane reached its altitude, the crew began offering on-board meals. Part to experience this flight to Batanes with Cebu Pacific, I had a pre-booked snack. I had Ube Langka Croissant and a bottle of C2, enough to fill my hungry stomach. I enjoyed the croissant, which is one of its latest and delectable offerings. As long as I wanted to get some sleep during the flight, I couldn’t able to because I was too excited. I kept looking at the window checking the view. Our captain was also extra nice to announce if there were interesting sights to see like when we were able to fly over the Banaue Rice Terraces. Too bad, I was on the wrong side of the plane. When I noticed that the plane was already flying over the ocean from the mainland Luzon, I knew that we will be in Batanes in no time. A few minutes later, I finally saw those rugged mountains and scenic coastlines. It’s finally Batanes! We landed safely at Basco Airport past 9:00 AM. After 3 days in Batanes, it was time to go back to Manila. My flight with Cebu Pacific was scheduled at 9:15 AM. I wasn’t able to check in online so I went to the airport an hour and a half before the flight. Check in counter was already open so I went and checked in for my flight. I presented my ID. I got my boarding pass. Then, I went to the boarding gate. There, I waited for the arrival of the aircraft and our boarding. Boarding commenced at 8:45 AM. Flight then departed on time. 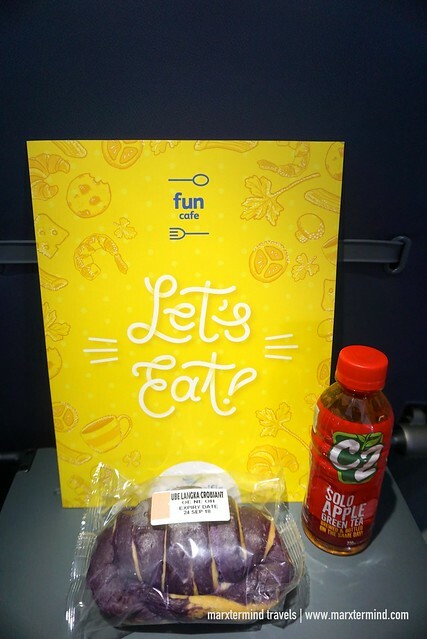 After take-off, crew started to offer snacks on-board. I still had the same pre-booked snack, which is Ube Langka Croissant and a bottle of C2. The entire flight to Manila from Batanes with Cebu Pacific was comfortable, as usual. We landed NAIA Terminal 4 around 11:30 AM. 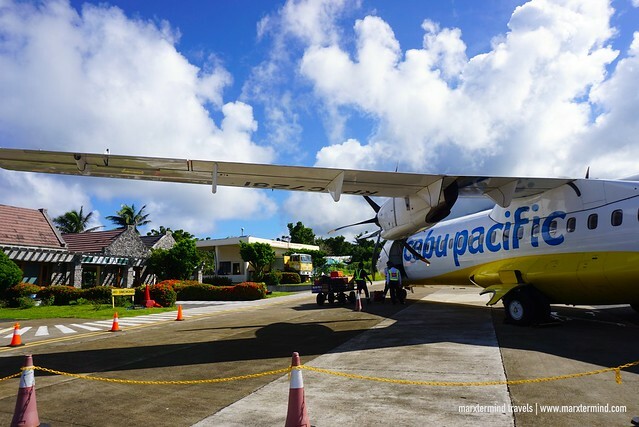 Flying to Batanes with Cebu Pacific is one of the most memorable birthday trips that I had. A sought destination in the country, I was glad that I was finally able to visit it most especially with the leading low-cost airline in the country. I had a comfortable flying experience that made me enjoy my trip to Batanes even more. 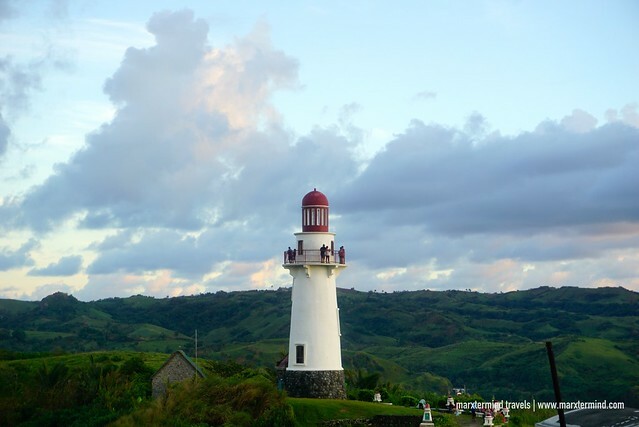 Travel to the country’s northernmost paradise of Batanes with this lowest fare from Cebu Pacific. Enjoy flights from Manila to Batanes for as low Php3,742.56 one-way. Go to the official website of Cebu Pacific to book your flights. You may also find and compare cheap flights by visiting Momondo or by using the flight search below. Cebu Pacific is the largest carrier in the Philippine air transportation industry, offering low-cost services to over 60 destinations in Asia, Australia, the Middle East, and USA. Cebu Pacific operates a 66​-strong fleet of 48 Airbus (4 A321ceo, 36 A320 and 8 A330) and 18 ATR (8 ATR 72-500 and 10 ATR 72-600) aircraft, ​one of the most modern aircraft fleets in the world. Book flights to your favorite Cebu Pacific destinations now via www.cebupacificair.com!